Have you ever gone to the movies and thought that you might want to try putting together a film of your own? Action! Dialogue! Scene! Cut! That’s all that it takes to make a movie, right? Unfortunately, it’s a bit more complicated than that, but we’ve compiled a list of amazing resources that will help you on your way to making movie magic. Luring the audience into a suspension of disbelief isn’t easy. Good filmmakers transcend the disconnect between screen and reality that allows the viewer to fully inhabit a film’s world and anything that might happen in it. Acting, directing, cinematography, sound recording and design, score, lighting, location, screenwriting, movie editing, post-production, and even budgeting all affect a film’s overall production—finding a beautiful meld between all of these elements can be the difference between a pile of rubbish and a stunning, cinematic masterpiece. If you want to learn or improve your filmmaking skills we’ve gathered spectacular online courses for you! Whether you are looking to get a comprehensive education or an intense tutorial in film editing software, there are many options for your needs. Additionally, there are many critical and historical online film courses that will inform your craft and teach you how to communicate your own ideas within the broader conversation of filmmaking and art. Studying old films and cutting-edge filmmaking are great ways to learn to put your own mark on your films—at the very least, you’ll be able to justify your Hulu Plus and Netflix binges! While top filmmakers make top dollar, a career in film and related occupations isn’t far-fetched. In fact, the Bureau of Labor Statistics shows that people working in film and production related careers make about $50,000 on average. Even if you don’t end up directing a hit blockbuster, there are many lucrative occupations in film that an online degree or online courses can help you attain! Udemy : Do you want to learn the ins and outs of the filmmaking world or learn how to use post-production video editing software? Udemy offers incredible courses that contain hours of high-quality lectures and tutorials that will teach you professional filmmaking techniques. If you are looking to break into the screenwriting business, learn Adobe editing software, or looking to experience a taste of film school, Udemy has amazing courses on a budget. These courses will give you all the necessary skills and knowledge you’ll need to succeed in making your own films! Join the hundreds of people who have are raving about these courses! All courses currently onsale! Coursera : Creativity doesn’t simply manifest itself—usually there is a certain spark that will ignite an outpouring of ideas. If you are interested in learning about different cultures, digital media theories, sound design, or the history of cinema, Coursera has a selection of courses that will help you spark your own creative fires. Offered through many topuniversities, these courses, such as The Language of Hollywood: Storytelling, Sound, and Color, and Marriage and the Movies: A History, provide critical, will teach you accessible approaches to the creative process. By better understanding and dissecting ideas, aesthetics, and processes of creating films, you will be able to effectively incorporate ideas and knowledge to make better films. You will be doing a disservice to yourself and your creative development by missing out on these courses! fxphd: fxphd is an online video effects, production, and post-production training program that will help you gain some serious filmmaking chops. Divided into 10 week terms, fxphd offers a series of courses you will get to choose from (depending on your pricing plan) that are taught through online tutorials with professional support. fxphd offers 19 fully interactive courses in addition to about 80 tutorials without instructor moderation, many of which you may earn a certificate of completion. Furthermore, fxphd offers VPN software for download so that you may effectively learn and experiment with the course material. Lights Film School: Do you have your own camera, editing software, and computer but don’t know what to do with them to make movie magic? Lights Film School will provide you with a rigorous program of study that will give you the opportunity to learn a tremendous amount about making films, as well as providing you with access to one-on-one grading, a vast array of media libraries, Lights Film School “Social” program, Lights Film School “Mirror” program where you get hands-on experience, music & sound libraries, as well as access to live Lab Chats where you can discuss issues or ideas presented in courses. With Lights Film School modules, you’ll learn introductory filmmaking concepts, screenwriting, directing, cinematography, editing, and sound design. If you’re not convinced about Lights Film School, be sure to check out their free tutorials for a morsel of what their courses offer! Film School Online: Film School Online is a compendium for learning about every facet of filmmaking that is taught by Louis La Volpe, production supervisor for New York University’s Institute of Film and Television. Offer six incredibly affordable courses ($14.95!) in Screenwriting, Directing, Cinematography, Sound, Editing, and Producing, Film School Online is a great option for those wanting to learn about filmmaking and are on a tight budget. In addition to each individual course, Film School Online offers as discounted package that includes all of the courses, as well as 2 years of access to the course materials. Be sure to check out these informative courses! Skillshare: Are you looking to take interactive classes with instructor-led videos but don’t have the time or money to invest in a long-format class? Skillshare has compiled some of the top filmmaking tutorials that will help you on your way to making better films. Offering courses in video editing, screenwriting, stop-motion animation, writing for sketch comedy, and courses that cover technical aspects of pre-production, Skillshare has a course for you with some amazing instructors! Each of these courses is taught through fun video tutorials and provides forums in which students can help and support each other’s learning. Courses are often incredibly affordable or you can sign up for a membership that will give you access to hundreds of amazing Skillshare classes! Don’t miss Brock Davis’ mini-class on Stop-Motion Videos! Full Sail (BS): Full Sail University is a force to be reckoned with in the entertainment industry. In addition to offering an exhaustive array of film-related courses and degrees, Full Sail is a pipeline for major media studios. Providing 3 undergraduate film-related degrees in Film, Digital Cinematography, and Creative Writing for Entertainment, and a Master’s degree in Film Production, Full Sail’s multi-faceted, interdisciplinary approach to filmmaking will be sure to equip you with top-notch skills and experience. Courses like Digital Cinematography, Film Production, Post-production, Directing for Film, Sound for Film, Creative Writing, and others, will allow students to learn through hands-on training and experimentation. Additionally, students will develop real-world skills that will help them pursue careers in film-related industries. Full Sail is sure to impress and offers career services and an impressive alumni network to graduates at any point in their career! Academy of Art University (BFA): Based out of San Francisco, the Academy of Art University offers a comprehensive degree in Motion Pictures & Television with specializations in Producing, Directing, Digital Cinematography, Editing, Production Design, and Screen Writing. If you are looking for excellent hands-on training in a broad course of study, Academy of Art University will teach you to effectively learn visual communication through film, the history and theory behind filmmaking, how to prepare yourself for a career in the entertainment industry, and much more! With a degree from Academy of Art, you’ll have the opportunity to try on all sorts of different career paths—whether that be a Film Producer, Director, Production Assistant, Editor, or Camera Operator, the degree program at Academy of Art will allow you to see what you might want to do with your art. In addition to an excellent degree program, Academy of Art offers career and entrepreneurial services for students and grads to help you succeed in the filmmaking world. Furthermore, the School of Motion Pictures & Television produces the annual Epidemic Film Festival that showcases student work and draws hundreds of people including industry professionals. Arizona State University Online (BA): Are you looking to gain the skills, experience, and knowledge that will help you succeed in the entertainment industry? Arizona State University’s Film and Media Studies program offers a great online degree that will equip you with critical and creative thinking tools. Approaching media and filmmaking from an analytical perspective, this course of study will engage you to push boundaries of experimentation. More a critical liberal arts education than a creative production degree, ASU is great for those looking to study media arts, digital humanities, film studies, and screenwriting. UCLA Online Extension: Do you want to take single courses from one of the world’s top film schools? UCLA offers online extension courses that will blow your mind. 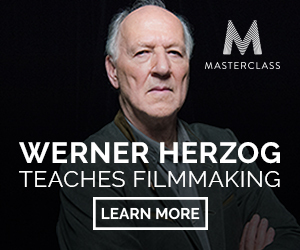 If you want to increase your filmmaking skills but don’t have the time to commit to a semester long course, or simply are unable to get to Los Angeles to study, these courses offer you incredible access to some great courses. Courses include: Introduction to Art and Technique of Filmmaking, Digital Cinematography, Screenwriting Fundamentals, Advanced Screenwriting Workshop, Art and Practice of Motion Picture Producing, Planning Independent Feature Production, and Overview of Contemporary Film Industry. Courses are open to the general public, as well as to some high school students. 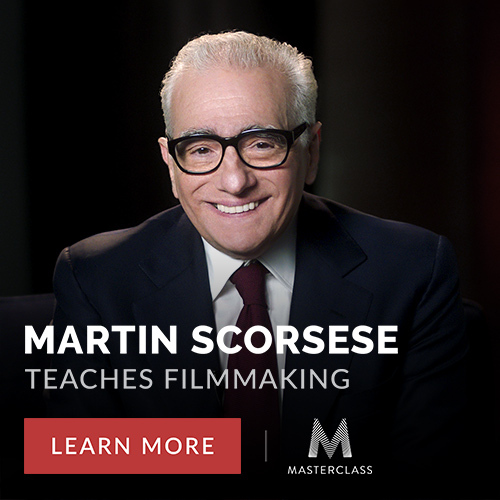 If you want to jump start your filmmaking career, these courses are a great way to gain access to a small window in Hollywood! MIT OpenCourseWare: Understanding how to make films is almost impossible without understanding the theories, ideas, and innovations that have evolved cinema into its modern-day form. 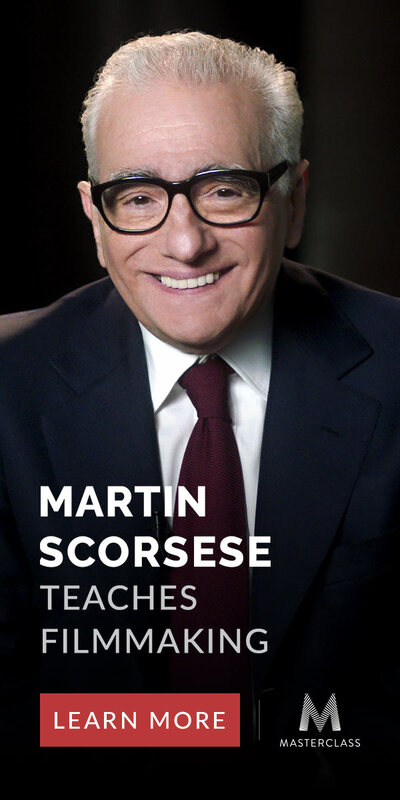 MIT OpenCourseWare provides phenomenal courses with astute insights about cinema, culture, and other relevant topics from one of the top universities in the world. We’ve pulled only a few from a list of over 20 courses that have been archived from old MIT classes. If you want to inform and improve your understanding of cinema and filmmaking, be sure to check out courses such as Philosophy of Film, Documenting Culture, The Rise of Film Noir, and other great classes that will be sure to teach you about the ideas, trends, and mythos of great filmmaking. edX: The University of Tokyo is currently offering two intriguing, free courses on visualizing Postwar Tokyo through art, media, and other representational mediums. After emerging from the ruins of war to become one of the largest, frenetic cities in the world, to say Tokyo hasn’t gone through a visual metamorphosis would be foolish. This course will examine film, images and other important cultural artifacts relevant to creating modern Japan’s image. If you are interested in cultural documentation, or have a nagging interest in learning how history is represented through culture, you should definitely check out this two-part, eight-week double course! World Education University: Are you interested in learning how film, sound, and digital media impact our lives as well as gaining invaluable hands-on experience? World Education University (WEU) offers a series of courses designed to allow you to learn about the importance of theoretical and aesthetic applications of filmmaking that will you love. If you are looking to stoke your creative passions, WEU offers a range of classes that will prepare you to start filming and make you feel confident in the production and post-production of your films!